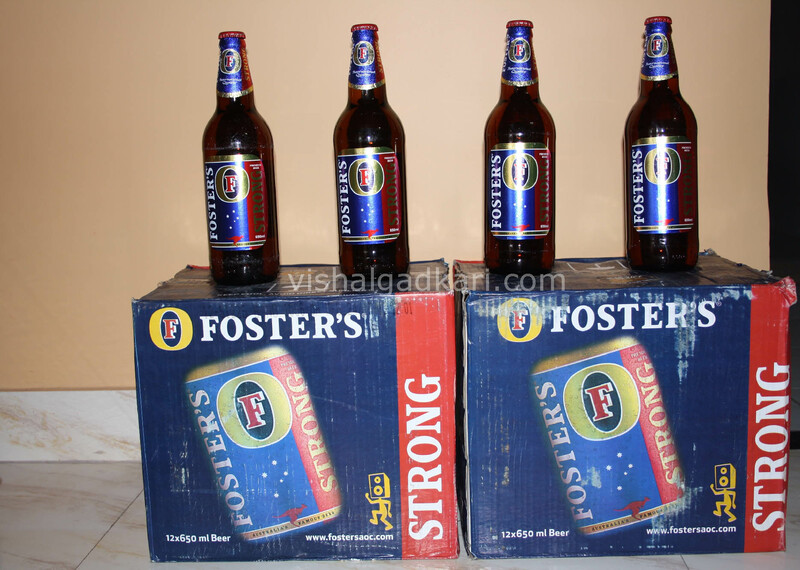 Fosters sponsored me 2 Crates of Beer , Pizza and Mineral Water last year to host a Christmas party at my home. I was very thankful to Fosters for the Art Of Chilling party as we enjoyed a lot and yes my friends blessed Fosters for the beer they sponsored. On 15th Nov i got a call from Fosters again and ask me if i would love to host another party and as usual my answer was YES. (How could i say no to a Fosters Art Of Chilling party). I decide to host the party on 19th November and accordingly I started planning for the party, I called my friends but unfortunately most of them had already their Saturday evening plans in place. As my bro was in India i asked my bro to call his friends for the party. He and his friends never say NO for a beer party. Friday 18th Nov afternoon i received 2 Crates of Fosters (To be precise 30 bottles of 650 ml each). I was in the office when my bro called to confirm the delivery of the bottles. When i reached home from office my bro gave me a shock by telling the Party will be hosted today but at his friends place. We took 14 bottles for 7 people but 1 of his friend didn’t turned up. 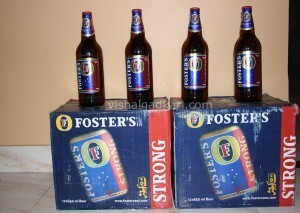 The party started with tweets praising Forster and the Foster strong beer. We all tried Fosters strong for the first time and we all were highly impressed. Chicken lollypop, Chicken Manchurian,etc. were the starters along with Fosters strong. As the party progressed the frequency of tweets were reduced and by 3 Am all the 14 bottles were empty. 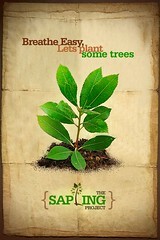 I liked Fosters Strong and would recommend it for sure as it is totally different from the other brands. From the busy routine schedule Fosters gave us a reason to chill at home with their Art Of Chilling party. 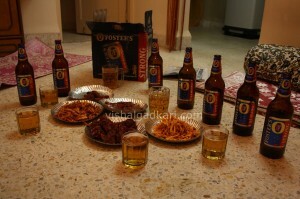 Thanks Fosters for the chilling party (my bro and his friends have asked me to tell you that next time pls give “Chakna” with the beer :P). And yes 25th Dec is just few days away and as promised i will be hosting another party :D. This time more friends and more fun.